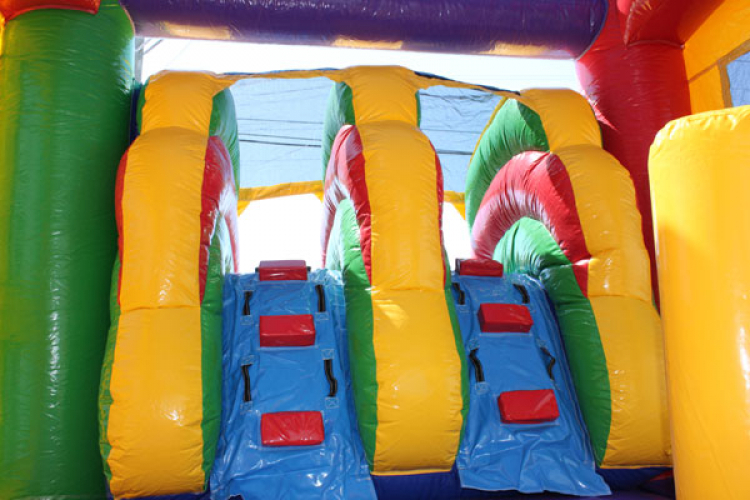 This is a 2-Lane Module combo. 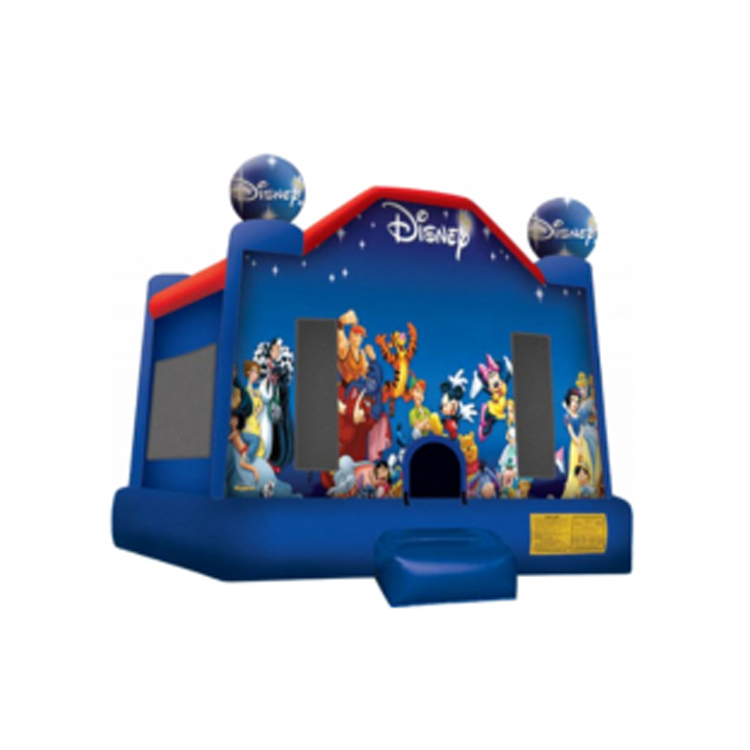 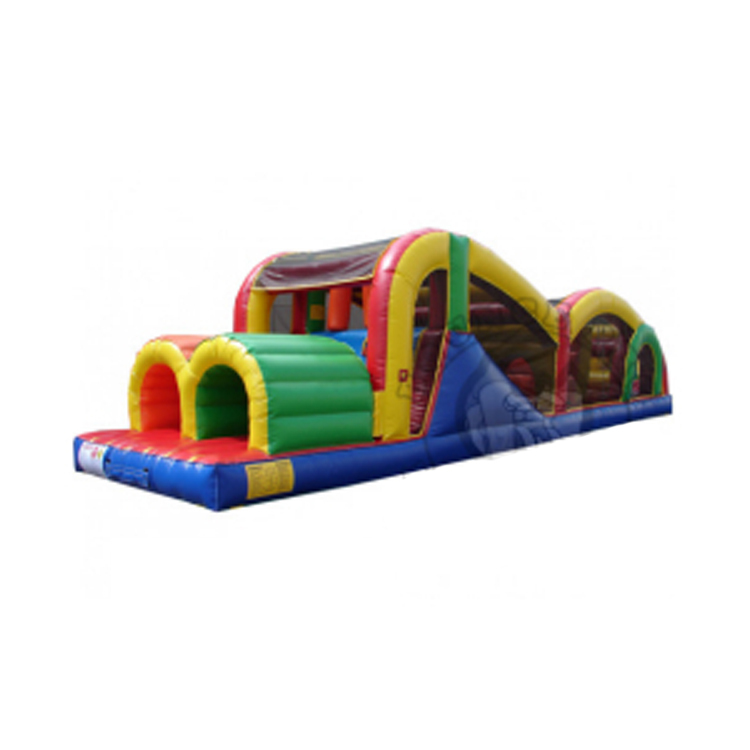 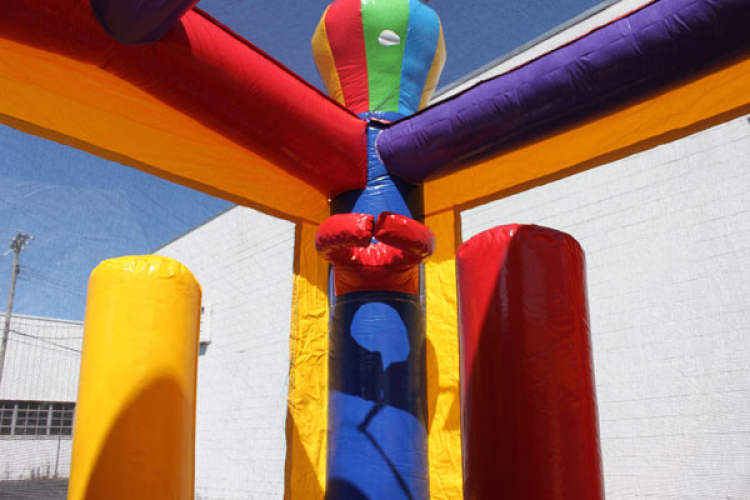 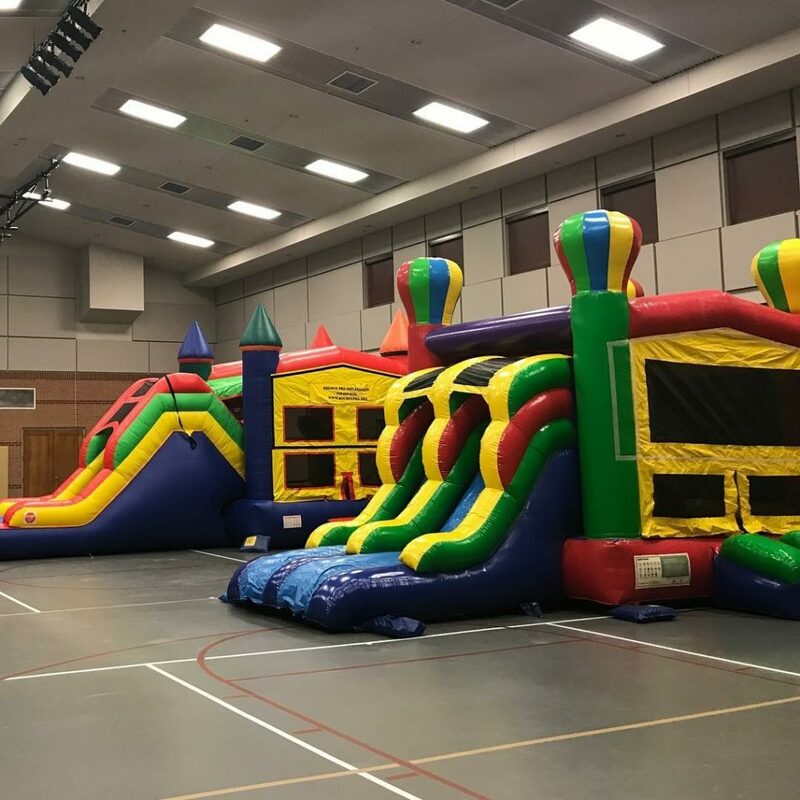 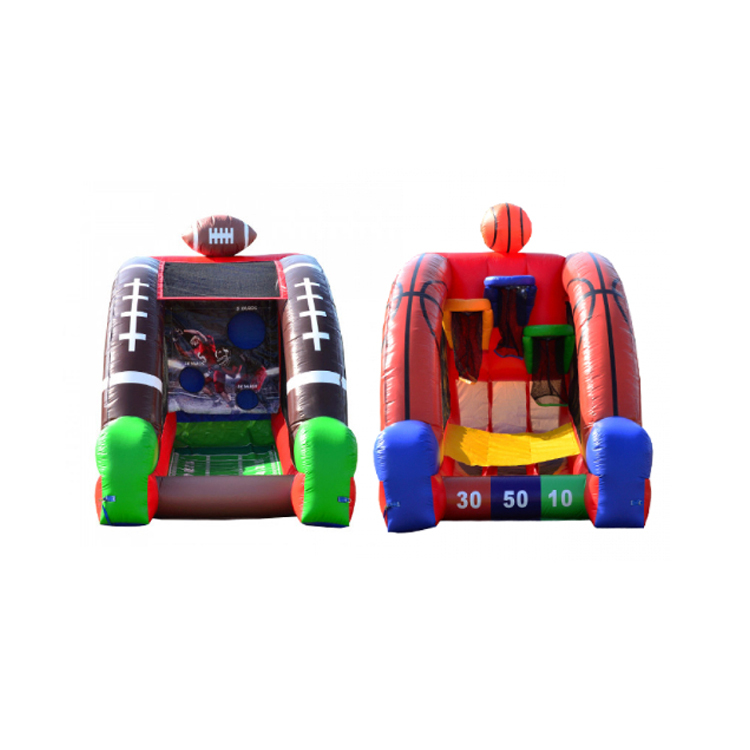 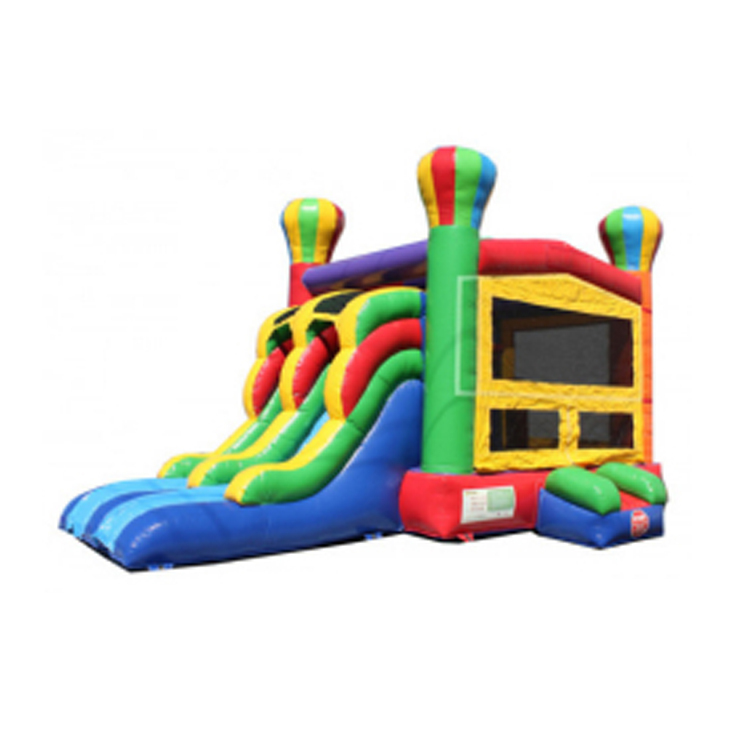 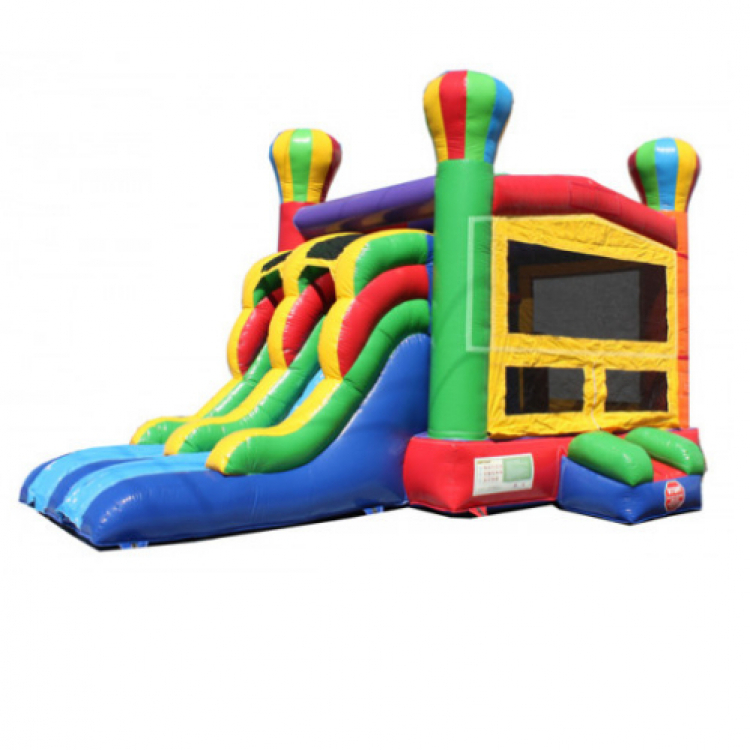 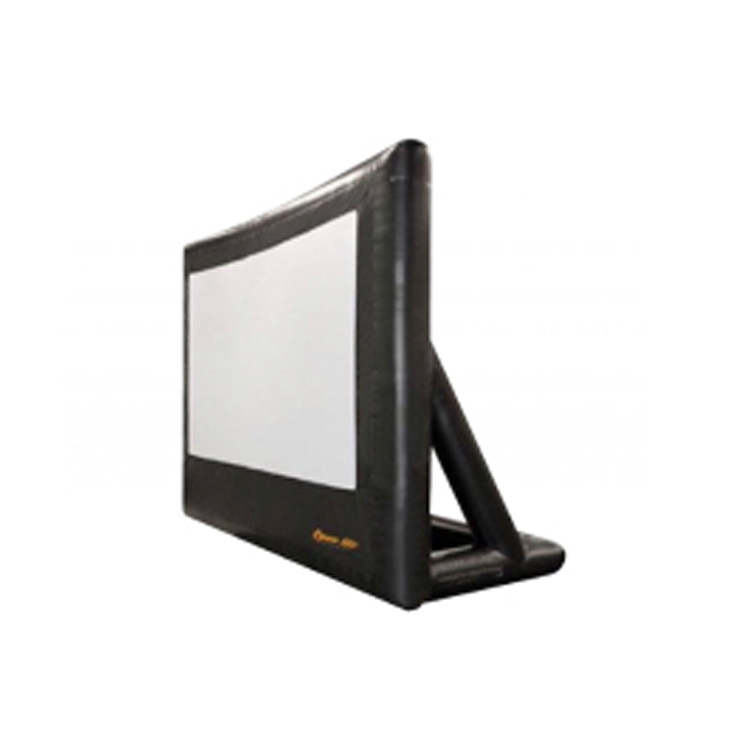 The bouncing area size is 12.5'x12.5', overall length is 23' long. 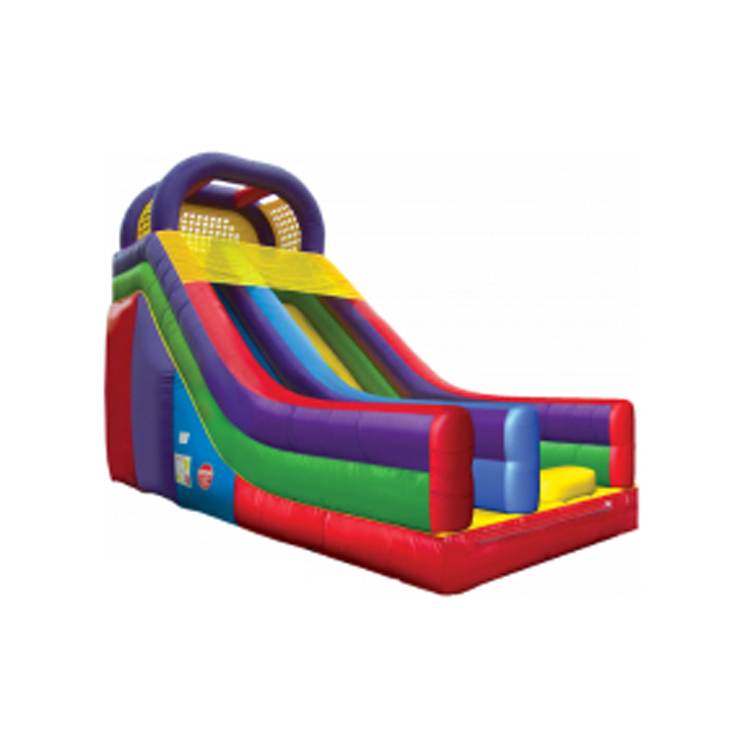 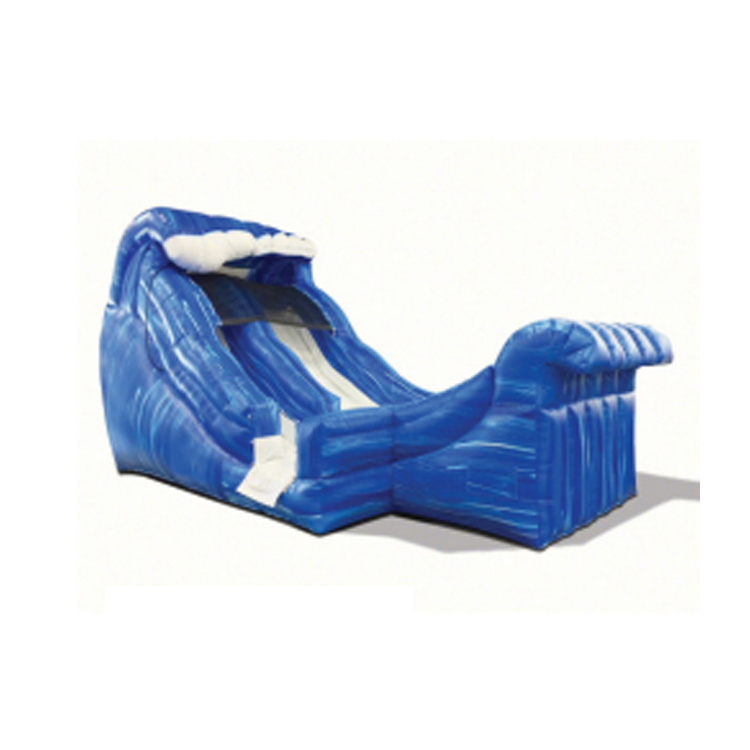 The slide sitting height is 6' tall. 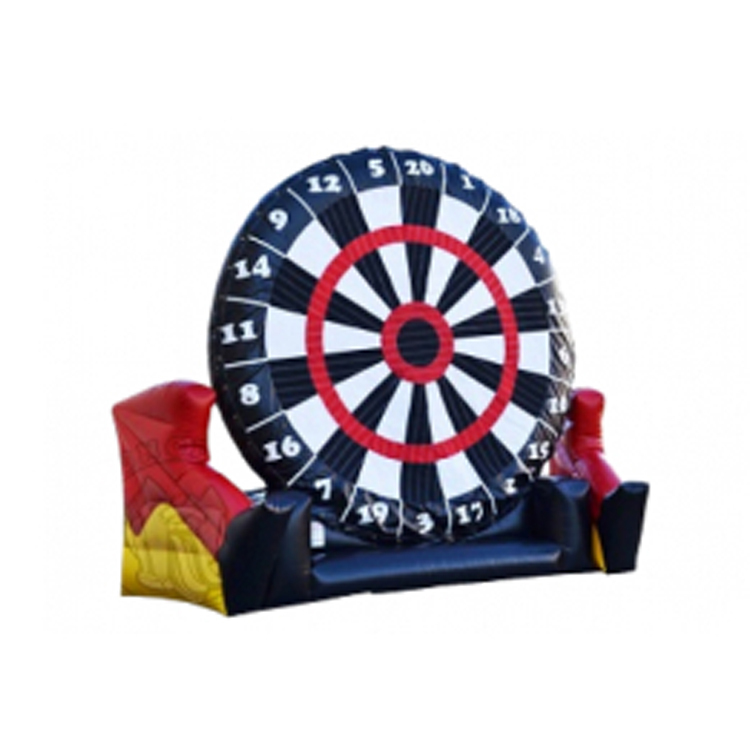 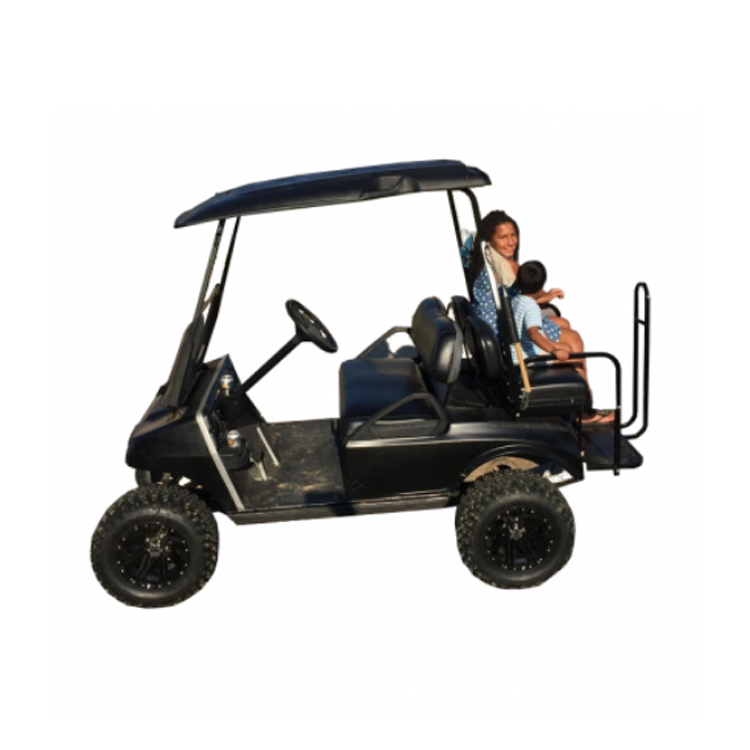 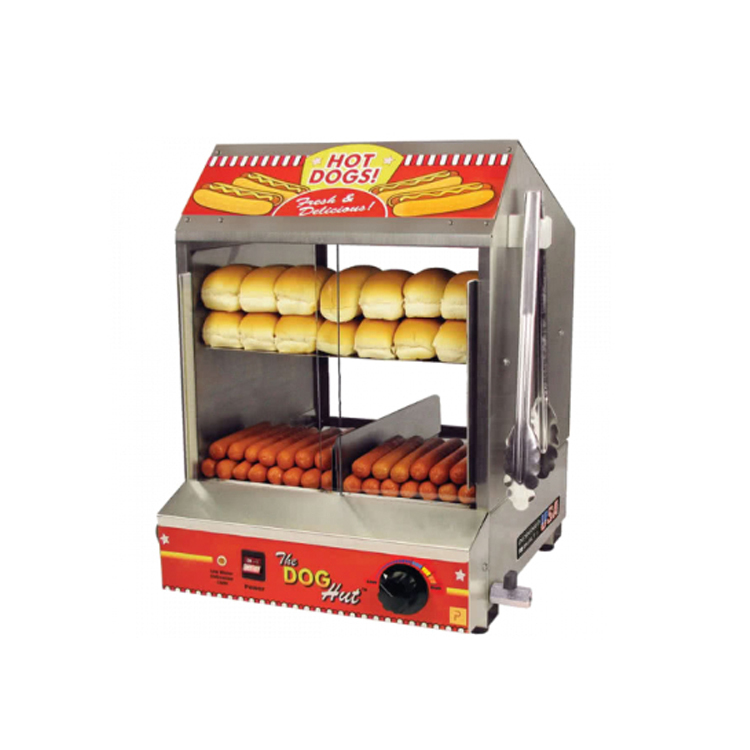 It comes with safely designed basketball hoop and pop ups.